نگین‌تاجی, صمد. (1390). مکان و حس مکان. مجله علمی-ترویجی منظر, 3(13), 24-29. صمد نگین‌تاجی. "مکان و حس مکان". مجله علمی-ترویجی منظر, 3, 13, 1390, 24-29. نگین‌تاجی, صمد. (1390). 'مکان و حس مکان', مجله علمی-ترویجی منظر, 3(13), pp. 24-29. نگین‌تاجی, صمد. مکان و حس مکان. مجله علمی-ترویجی منظر, 1390; 3(13): 24-29. حس مکان یعنی تجربه و درک خاص از یک قرارگاه ویژه که جهت‌گیری شخص را نسبت به یک مکان با احساسی از تفاوت، جهت‌یابی و درک فضایی مشخص می‌کند. در این مقاله حس مکان به عنوان یک پایگاه نظری در حوزه‌های مختلف مورد بررسی قرار گرفته است. از صاحب‌نظران در این زمینه می‌توان رلف (1976)، توان (1977، 2002)، استیل (1981)، شامای (1991) و آلتمن و لاو (1992) را در حوزه‌های مختلف برشمرد. از اهداف این نوشتار مشخص کردن چارچوب‌های این حوزه و کاربردی کردن آن در زمینه معماری و شهرسازی برای طراحان است. 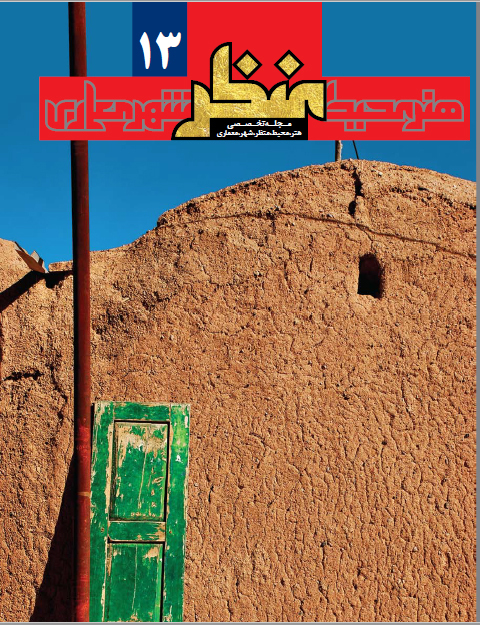 در راستای تحقق اهداف مذکور، این نوشتار به بررسی مفاهیم ارتباط انسان و مکان، پیوند انسان و مکان از نظرگاه‌های مختلف و در نهایت به حس مکان با رویکردی کالبدی که بیشتر در اختیار طراحان و قابل کنترل است، می‌پردازد. دستاورد اصلی این مقاله را می‌توان در ذکر این نکته دانست که از لحاظ کالبدی، محیطی که دارای کاراکتر مشخص و متمایز باشد، در آفرینش حس مکان موفق‌تر است. The sense of place means particular experience and perception of a special setting specifying the personal orientation to a place and emerging a feeling of spatial differentiation, orientation and perception. In this paper, different aspects of the sense of place has been considered as a theoretical basis. The goal of this paper is to determine these aspects and their applications in the context of architecture and urbanization. Research methodology in this article is based on the concepts of relationship between human and place and consideration of the integration of human and place in different views. Finally the sense of place will be represented in architectural sense and the elements effective on the sense of place in architecture will be discussed. The main contribution of this paper is that an environment with physically distinctive character is more successful in creating the sense of place. Defining the space is effective element in making architecture distinctive from environment which is in turn related to the quality of edge and boundary, enclosure, contrast and variety, views, landscaping, and naming. H: Since the space is a significant element in making the environment different from the architecture physically, a special and a specified character based environment can be successful in creating the sense of place.